• These are 'suggested' fingerings. If using different fingers feels more natural to you, go for it! The main thing is always to get the right sound. • With the descending pattern, sometimes I slide on the 1st finger, sometimes on the 3rd finger (or even the 2nd finger, on the G string). Again: Do what feels natural for the context and the sound you want to get! • The b3 is darker/sadder than the (major) 3. The b7 is bluesy/funky (unlike the 'pretty' major 7). • There are 2 main types of pentatonic scale: Major Pentatonic and Minor Pentatonic. • In the video we'll do it in the key of A. Be sure to move it around the neck and try it in different keys (it's completely movable). • Eric Clapton, BB King and most rock and blues players probably use minor pentatonic more than any other scale! • Scale ≠ music! However, you can use the notes of a scale to make music. 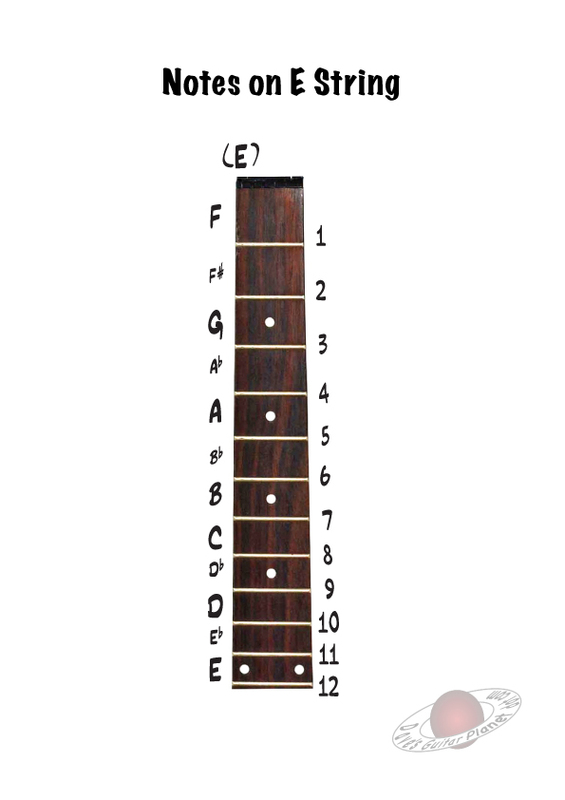 Play around with the notes of the scale and see if you can come up with your own licks and musical phrases/melodies. Try adding bends, slides, hammer ons, pull offs to add expression. • You can bend the b3, 4 and b7 to add emotion.